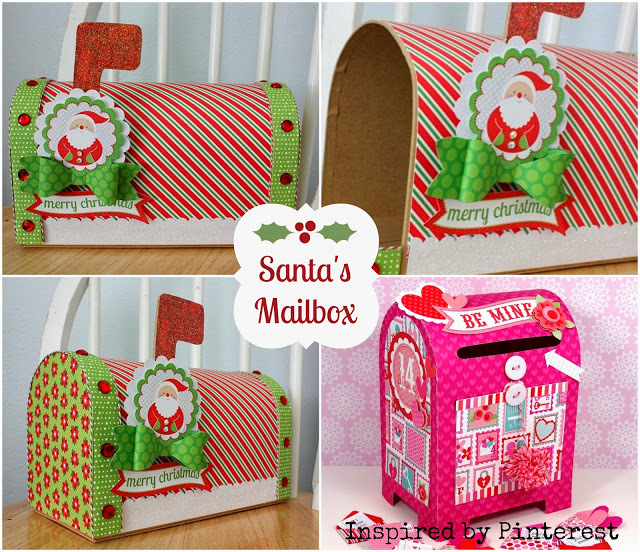 Whimsy by Shellye: Oh, Santa...You've Got Mail! and mine measures approximately 9.25"L X 5.5"H X 4.75"W.
I could pack it with colorful cookies and give to a co-worker! To begin, I covered the side of the mailbox with patterned paper. For the rim of the box, I wanted two different patterns between the actual rim and the sides. Next, I traced the side of the box onto patterned paper and then attached. just use a fine point glue pen...it works like a charm!